Roberto Rivero is Founder & CEO of consulting boutique allaboutgrowth, which aims to help companies of any size accelerate their growth. He is also Chairman of Legal-Tech SaaS business Vable and Advisor to two Fin-Tech start-ups. 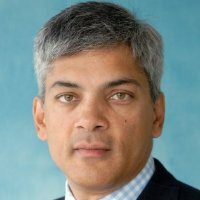 His previous corporate roles include Head of Sales & Marketing at the London Stock Exchange, Head of Market Development at S&P Global Ratings, Managing Director at Fidessa and Head of Product Management at Primark (acquired by Thomson-Reuters). Roberto was voted one of the top 10 mentors on Startupbootcamp’s 2016 Fintech programme and has also been a Mentor on Allen & Overy’s Legal-Tech incubator, FUSE, and Mentor and Judge on the London Business School’s Entrepreneurial Summer School. He has started his own business three times and acted as an Angel investor 4 times.